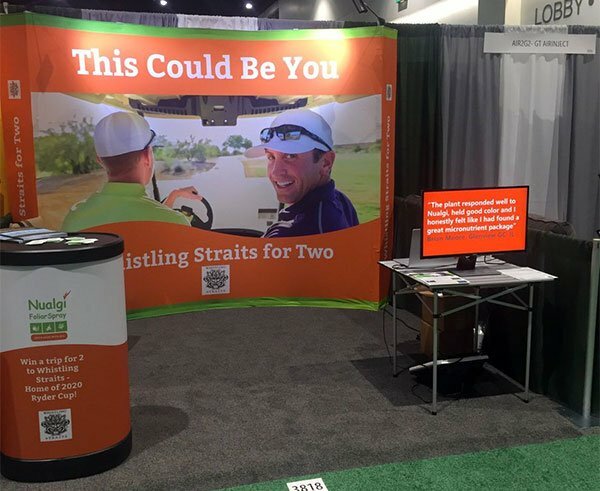 Skeptics are welcome to stop by the Nualgi booth #3818 (right by Club Car) to chat about the benefits of Nualgi Foliar Spray... of which they are offering a free 4-bottle trial along with a chance to win a golf trip for two to Whistling Straits ($5,000 value). 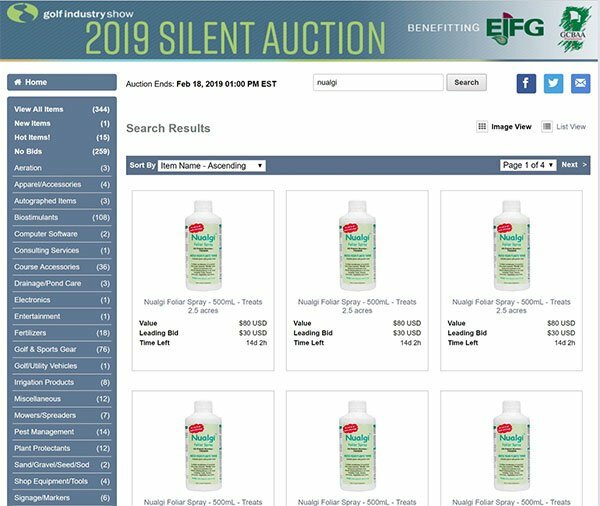 100 bottles of Nualgi can also be found in the Silent Auction. 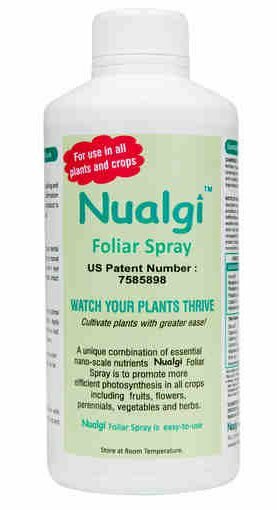 Nualgi is a nano-scale liquid fertilizer that contains all 12-essential macro and micro nutrients + Silica. It is sold in 500ml (16oz) bottles. Each bottle treats 2.5 acres once every 10 days by simply adding it to your current spray regimen. Nualgi can tank mix with any fertilizer, fungicide or nutrients. What does "nano-scale" mean? Very simply, it means the particles are so small (at least one dimension between 1 and 100 nanometers) that they can slide right into the leaf through the epidermis. Hemoglobin in blood is a familiar naturally-occurring nanomaterial. Very simply, it means the particles are so small (at least one dimension between 1 and 100 nanometers) that they can slide right into the leaf through the epidermis. 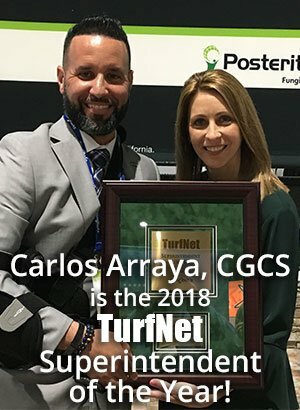 Nualgi Foliar Spray was in use at approximately 100 golf courses throughout the US and Canada in 2018, with some enthusiastic results. 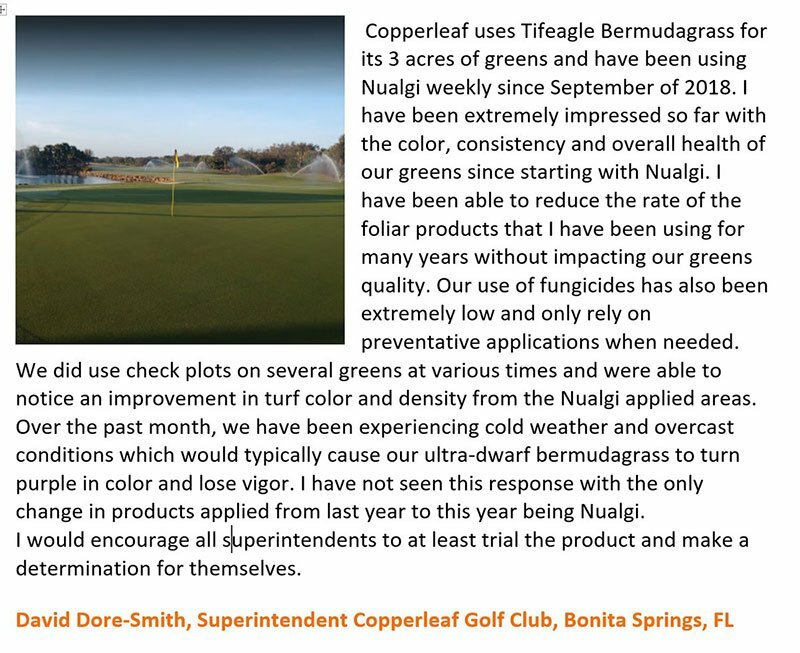 Long-time TurfNet member David Dore-Smith used it at Copperleaf Golf Club in Bonita Springs, Florida, and submitted the testimonial below.